The Philippine Naval Special Operations Group (NAVSOG), the Philippines' NAVY SEALS, is the elite fighting force of the Navy. Whether sea, air, or land, they train for the harshest conditions in the most impossible situations. They are the ultimate representation of preparation for the unknown and the unknownable. 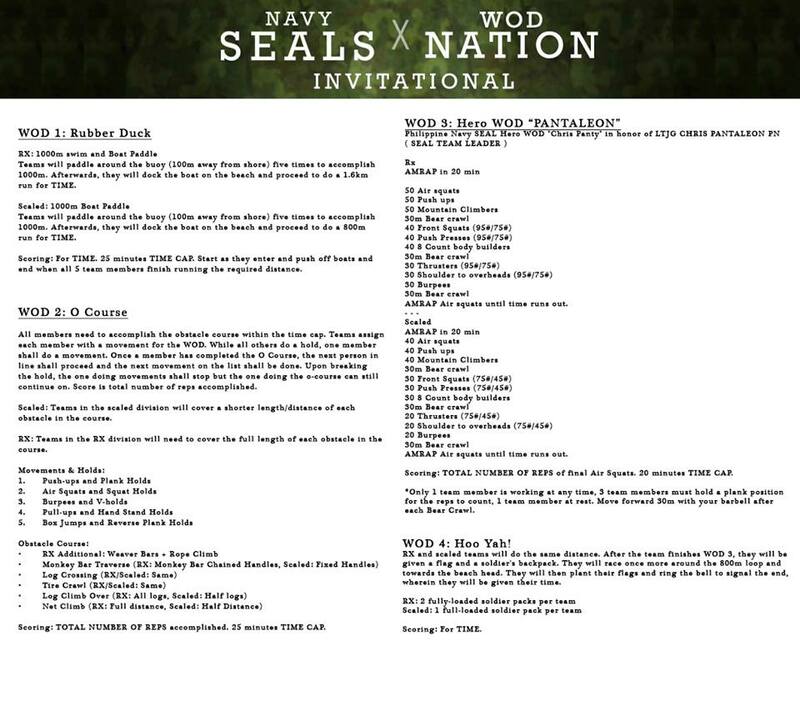 WOD Nation in cooperation with NAVSOG seeks to spearhead a joint military and civilian event series that will exemplify the other end of the CrossFit spectrum; that is ELITE FITNESS. This event series will set the motion for progressive fitness events. Aimed at a combine of CrossFit and SEALs style training which will be incorporated into public spectacle and obstacle events. This July 20, Saturday, at Sangley Point Air and Naval Base, we seek to join servicemen and CrossFitters alike in a challenging one day event that will test their physical and mental capacities in a hopper CrossFit games style event which will include swimming, running, obstacles, weightlifting and other tests of fitness. We hope through this event series that we will be able to change the people's notion on fitness - redefining what it is to fit. In turn, we seek to foster a greater appreciation of our servicemen and ultimately, create a greater understanding of CrossFit, the strength and camaraderie it builds. All of this is towards our dream of a Fitter Philippines. Each team will be participating in a whole-day event going through WODs that will challenge all aspects of their Fitness. Each team will have at least 1 female in their group. Participants will include the Navy Seals, CrossFitters from Metro Manila and the provinces, and possibly servicemen from the Scout Rangers. Sponsors will be coming in to promote their brands and sell merchandise. Some media will also be present to cover the event. The event will end with a community celebration of dinner and drinks. 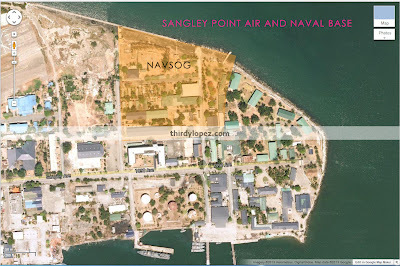 WOD Nation is embarking on new territory as it sets foot in the PHILIPPINE NAVY SEALS base in Sangley Point, Cavite City. This will a whole day of WODs with tests of GPP in all 10 aspects of Fitness. We will be providing a bus from Metro Manila to Sangley Pt. and back for participants (and if possible, your box community).